This cashew cream recipe is heavenly, make it sweet for desserts or savory for other dishes. This full thick cream is dairy free which makes it suitable for lactose-free diets and for anyone that is into high vibrational healthy food that taste AMAZING! 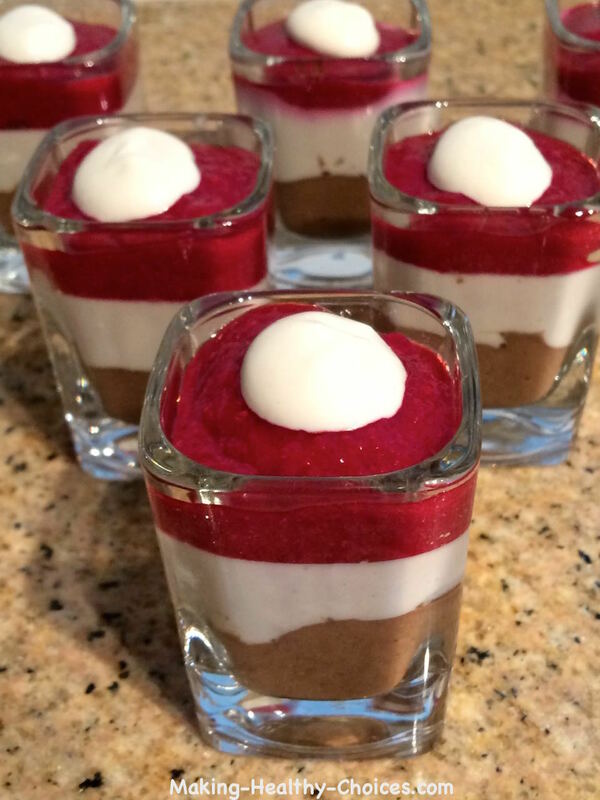 Chocolate pudding, cashew cream and raspberry puree. 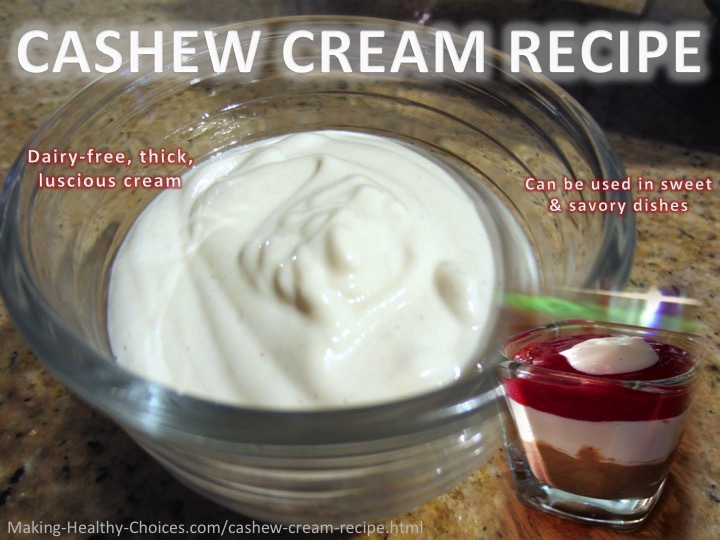 Why a Non-Dairy Cashew Cream Recipe? Why not use dairy cream? Well, pasteurized dairy, can cause a lots of health challenges in the body. Many people are lactose intolerant, and many others find dairy to be mucous forming and inflammatory in the body. It is also important to note that the life of many dairy cows is not a pretty one. Nut and seed milks are a great alternative to dairy. The cashew or anacardium occidentale is a kidney shaped nut that grows on a big tree in the tropics. The nut hangs off the bottom of the cashew apple (which is also extremely delicious!). Cashews are a great source of magnesium, phosphorus and potassium as well as protein. The mildly sweet flavour of the cashew make it an ideal nut in both sweet and savoury cashew cream recipes. Add cashews, coconut milk and maple syrup into your blender (I use a Vitamix Blender). Start blending and slowly add in the water until you get the consistency you like. For thicker cream use less water, for a thinner cream use more. RECIPE TIP: Cashew milk is made by simply adding more water. The ratio for milk is about 1 part cashews to 4 parts water. Very similar to making almond milk. If you have trouble viewing the video below, click here. To make a savory version of this cream, omit the maple syrup from the above recipe and add a pinch of sea salt. 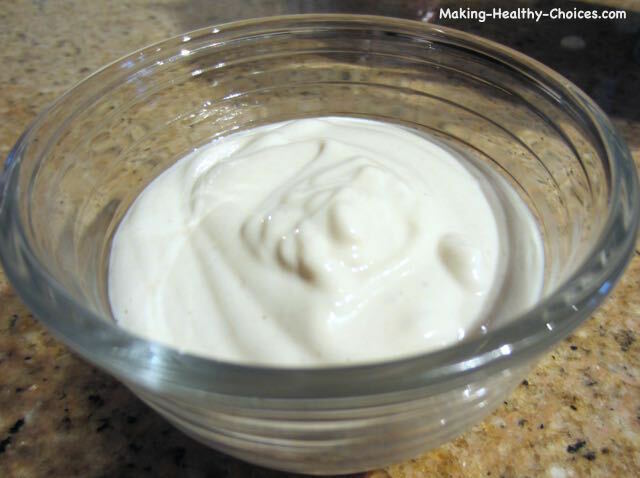 This makes a basic non-sweet cream that can be the base for many savory sauces or dishes.